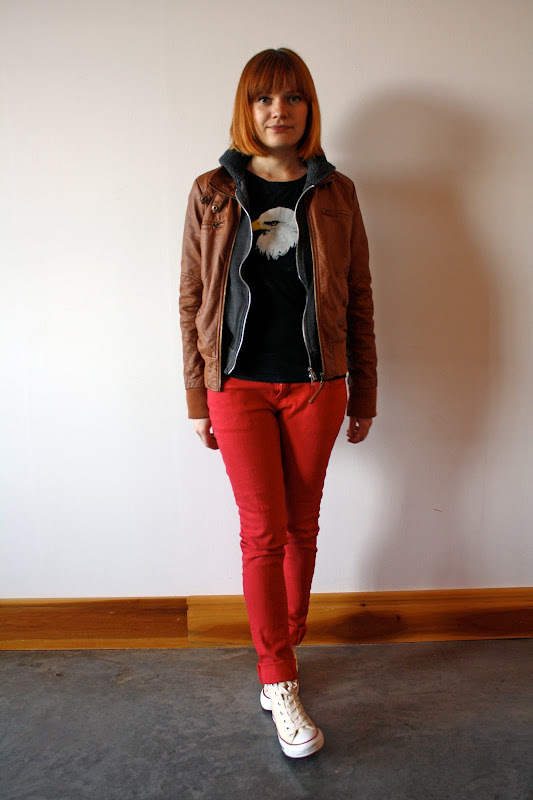 After getting all dolled up for yesterday's post, here's a look at my most laidback weekend wear. <3 I love the hoodie and bomber look, and you put it off perfectly! 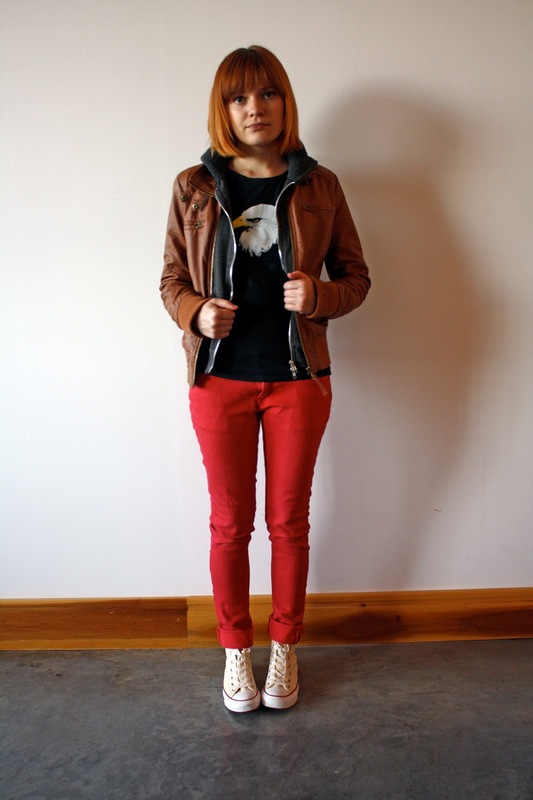 Ahh these red pants are amazing! I love this casual look, it's rocker chic. You look awesome in this outfit. I love the jeans. Ooh, love this chilled out, rocker vibe. You know, sometimes I think that casual outfits are just as inspiring, if not more, than the dressed up ones. 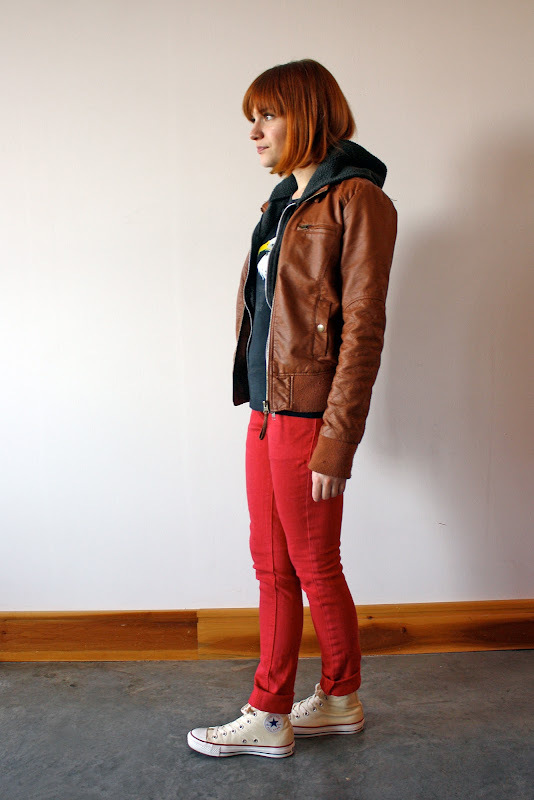 I love this look--especially the Converses and the moto jacket!